On the Edge of the Storm | Spaceship! Spaceship! Spaceship! Nick Trotta has built a new spaceship and it’s amazing. 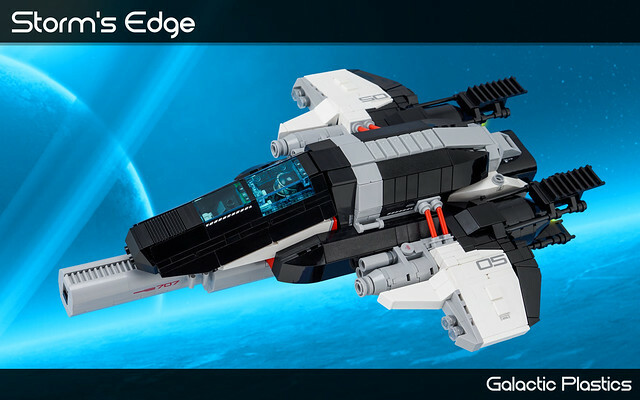 It’s black and white with bits of grey, has a big railgun running down the whole length of the thing and I’d very much like to swoosh it around while making pew-pew noises.